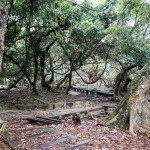 The tour guide from the Kadoorie Institute introduced Lai Chi Wo Village to students. 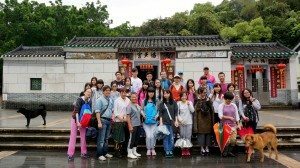 On Sunday 10th April, 2016, Stanley Ho East Asia College (SHEAC) organized a day trip to Hong Kong with the theme of ecological and cultural hiking. 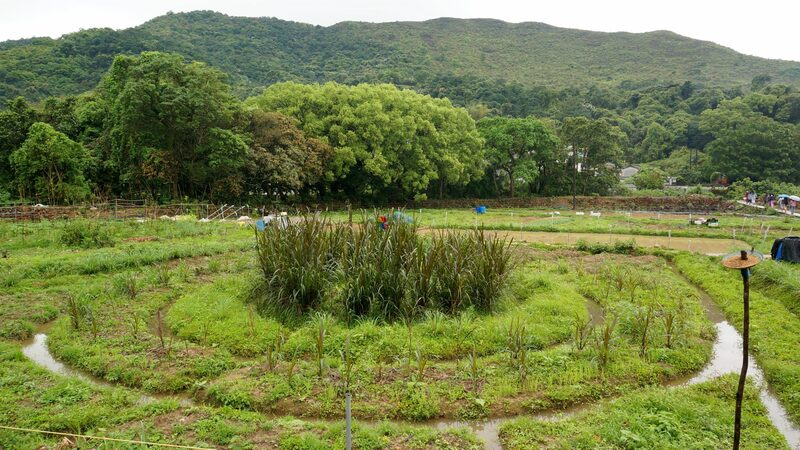 Led by Mr. Walter Wan and Dr. Angus Lam (SHEAC Fellows), Dr. Thomas Lok (SHEAC Affiliate), as well as Dr. Sancia Wan and Dr. Jerome Zhang (Resident Fellows), more than 20 students visited the remote Lai Chi Wo Village and Wu Kau Tang in the northeastern part of the New Territories. 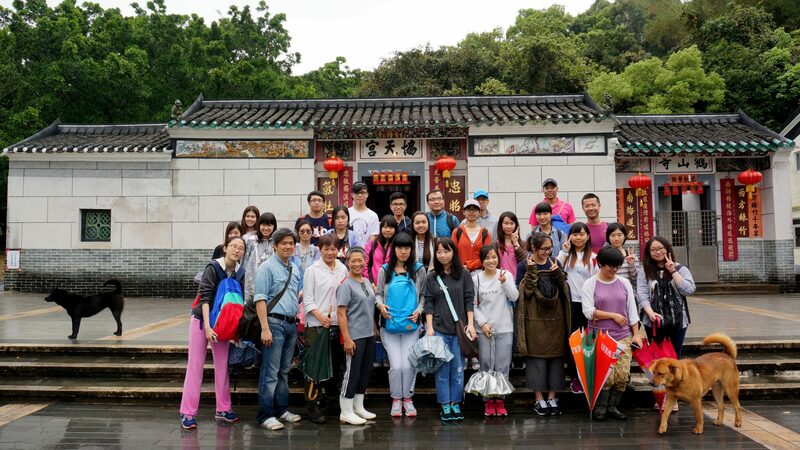 Group photo at the plaza of the village. 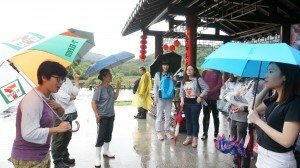 Departing very early in the rainy morning, the group traveled to Lai Chi Wo by the recently opened ferry route from Ma Liu Shui. 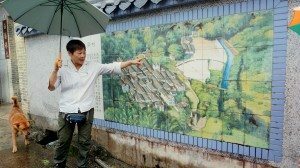 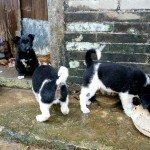 The trip started with a tour guided by a member of the Kadoorie Institute and two local villagers at the Lai Chi Wo Village. 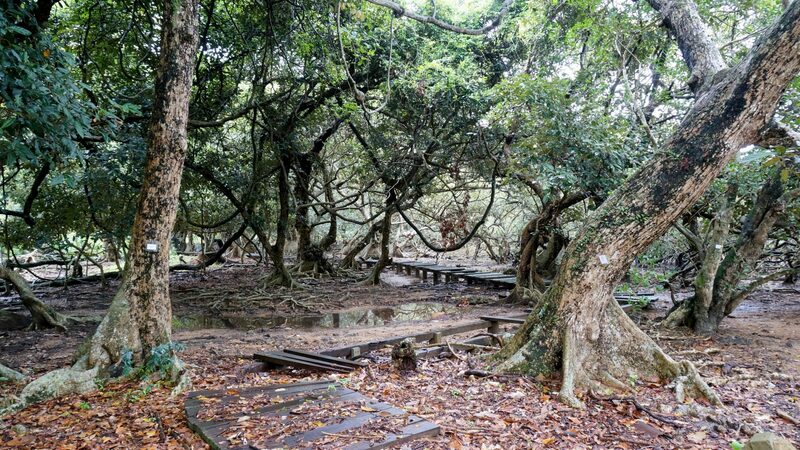 Located within the Plover Cove Country Park and near Yan Chau Tong Marine Park, Lai Chi Wo is a 300-year-old walled Hakka village. 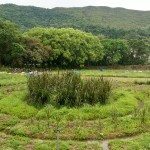 In addition to learning the history and culture of Hakka in the region, the students also became aware of the recent agricultural-led community revitalization and environmental enhancement program at Lai Chi Wo which has been carried out by the Kadoorie Institute in collaboration with scholars from The University of Hong Kong, Hong Kong Countryside Foundation, Produce Green Foundation, the Conservancy Association and Cultural Development Society of Lai Chi Wo. Students felt very excited to see different geological features along the coast of northeastern Hong Kong. 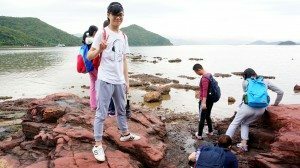 In the afternoon, the group visited the coast with mangroves and distinguished geological features. 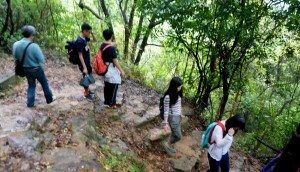 By the end of the trip, the students and teachers also hiked for two hours along the trails of Wu Kau Tang, and realized the great biodiversity of that area. 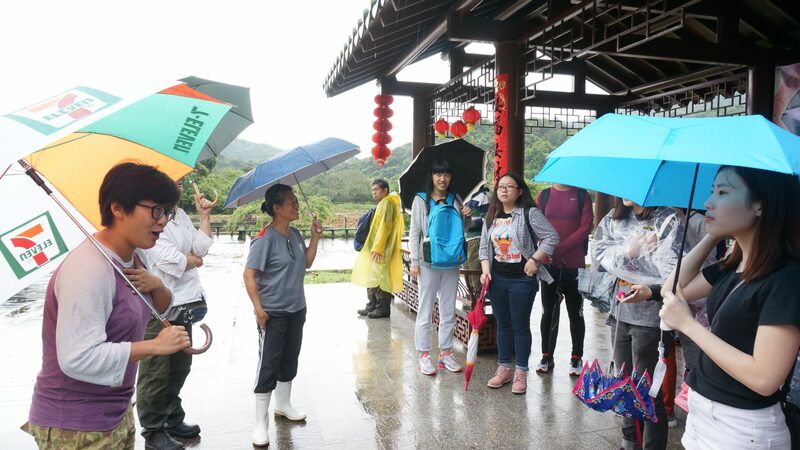 Through this trip, not only could the students realize the Hakka history and culture, but they could also develop a stronger sense of appreciation of the nature and strengthen their healthy living attitude. 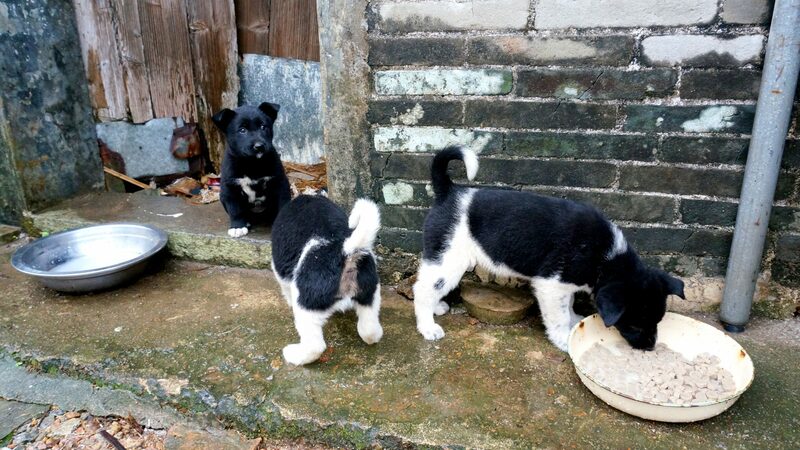 Two local villagers volunteered to introduce the group about the Hakka culture in the area. 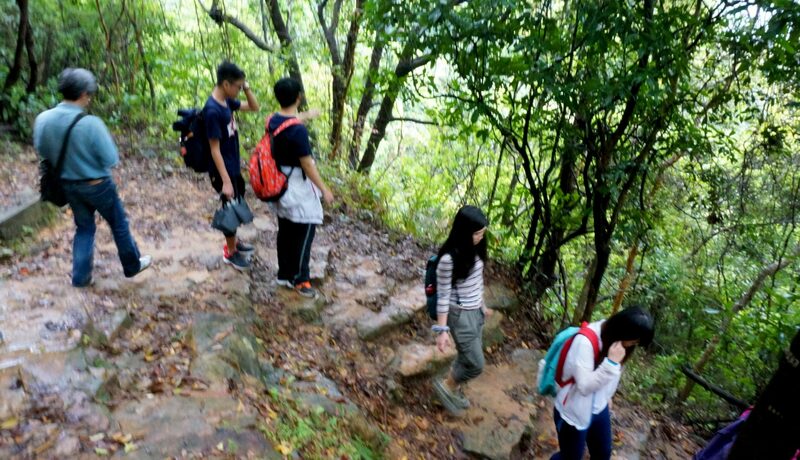 The group hiked along the Wu Kau Tang trails, and observed the natural environment of the area.